Well, not really on the trail I guess. Got a once in a lifetime opportunity to learn about, and stay overnight, at the Mount Washington weather observatory last weekend. After a brutally cold ascent the hospitality and passion of those working at the top instantly warmed us all up. I'm putting together a more in depth trip report and gear list if anyone is interested. Yes tell us about it, that sounds cool! I highly recommend it Bill. 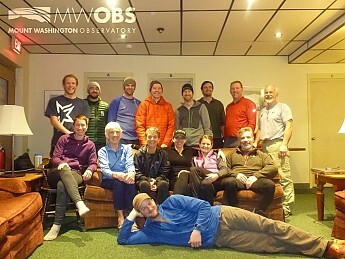 The observers are so passionate about their job, and the weather phenomena on mt.washington that they are ready to teach you for as long as you'll listen (or until you fall asleep from being so tired from the climb). Cool! Thanks for representing Trailspace at the top of New England. I'm going to go read your trip report now.